With bench top space at a premium, it’s important for research and clinical labs working across a range of applications to efficiently use the space available. Unlike other tube racks, these multi-purpose racks are specifically designed with the flexibility to hold multiple tube sizes firmly in place to assist technicians constantly alternating between sample vessels. The rack incorporates two moving hinged shelves that can be rotated to an up or down position to accommodate the size of the tube being used. 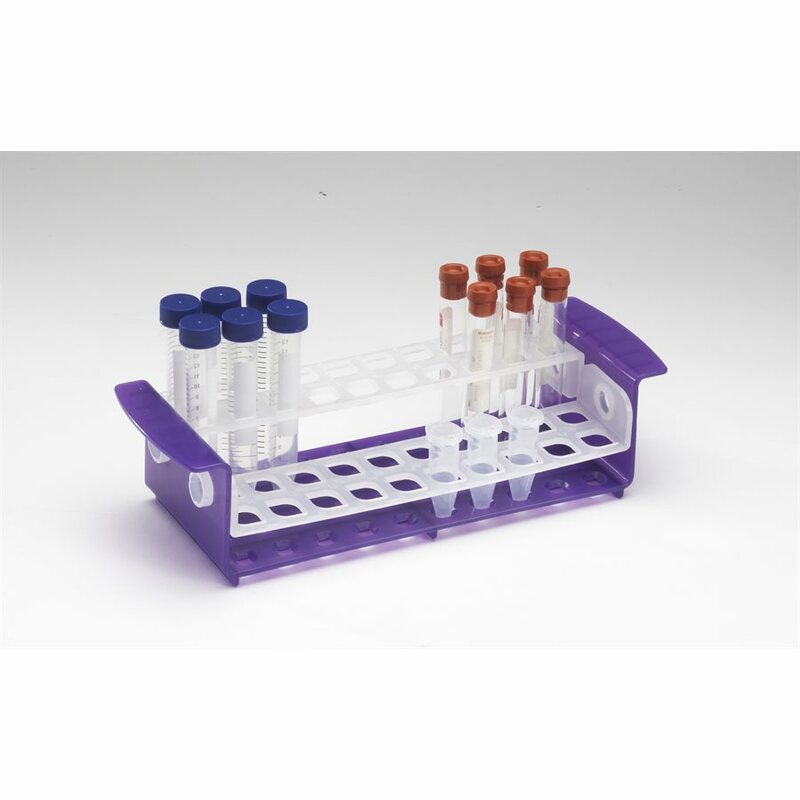 When working with samples, the shelves can be rotated to an angle position to facilitate more comfortable pipetting and allow better visibility. The tube rack wells have a unique teardrop design that enables easier insertion and better retention of tubes over traditional designs. 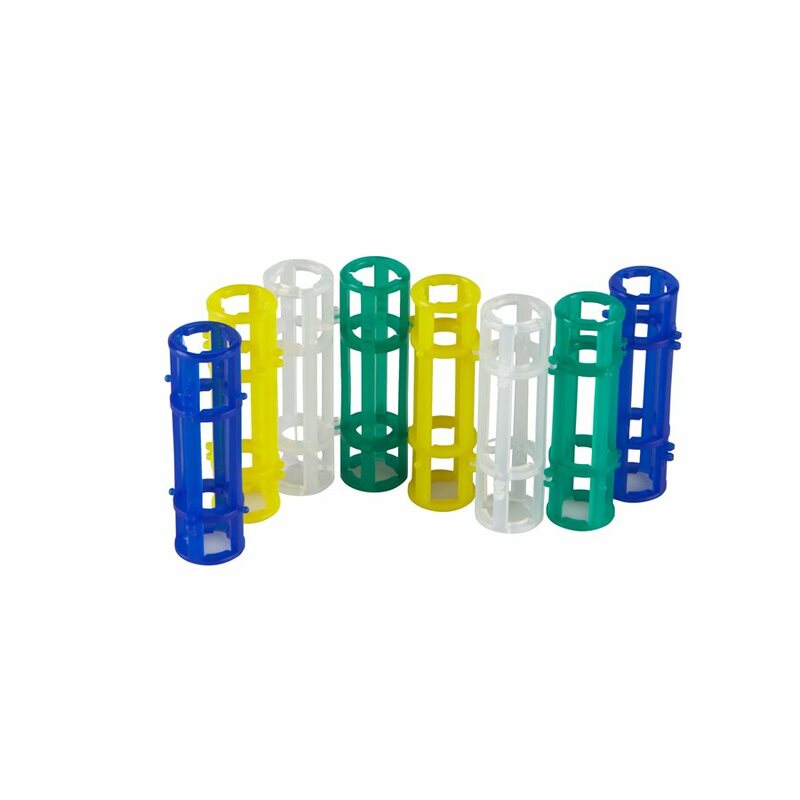 For Clinical Labs: The 10-17 mm Tube Rack comes with FOUR interchangeable tube segments. Work outside the traditional tube rack box shape, or don’t. You decide. Now you can configure a tube rack to meet your requirements instead of the other way around. The Chain Tube Rack has a unique linkable design that enables the possibility of multiple configurations to form different shaped tube racks. Each well has the flexibility to hold 5 mL tubes on one side or rotate it 180° to hold 15 mL or 15-17 mm tubes (round and conical bottom). Mix and match the well sizes to create one rack that holds multiple sized tubes in a variety of fun and functional configurations. Create different shapes and rack sizes with up to 16 wells depending on the need: straight line, a circle, 2 x 8, 4 x 4, etc. The PCR Storage Rack, by Heathrow Scientific, offers a sleek and modern design that’s packed full of features. The patent pending design offers a unique lid the rack slides out from, and then rotates 180°, to become a convenient stand the rack sits on. Ergonomic textured finger grips provide a secure hold, reducing the chance of dropping the PCR rack, and makes handling and transportation easy, especially when using gloves. 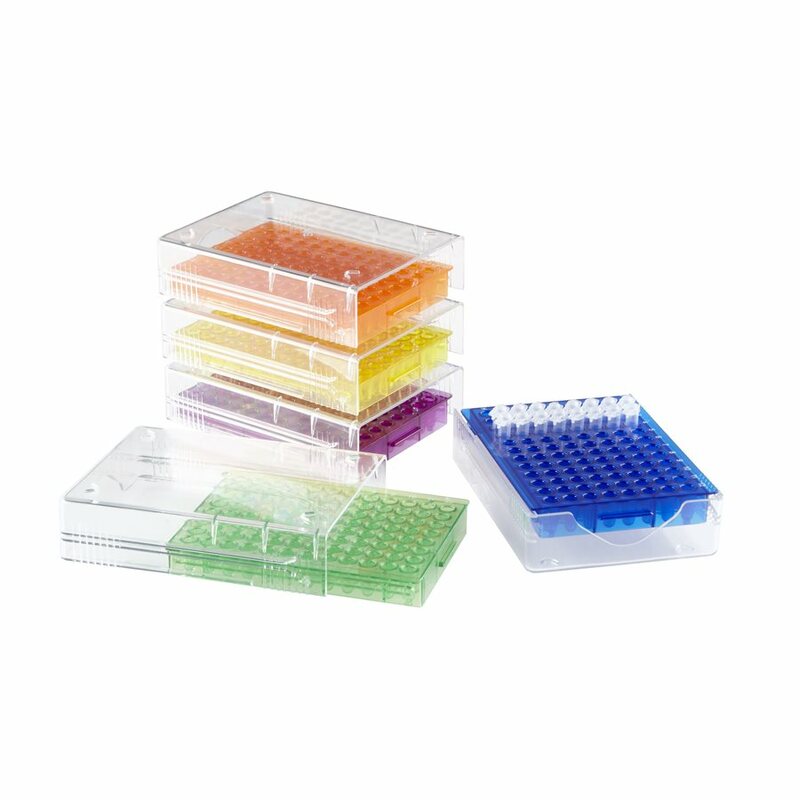 The lid has a side opening that enables faster cooling of samples to ensure integrity and is made from translucent polycarbonate for easy sample and well identification. The PCR rack base is made from robust ABS construction that helps keep samples safe so you don’t have to spend extra money and time on expensive retesting. A location ID of numbers and letters allows for organized sample placement which results in easy and quick sample retrieval. 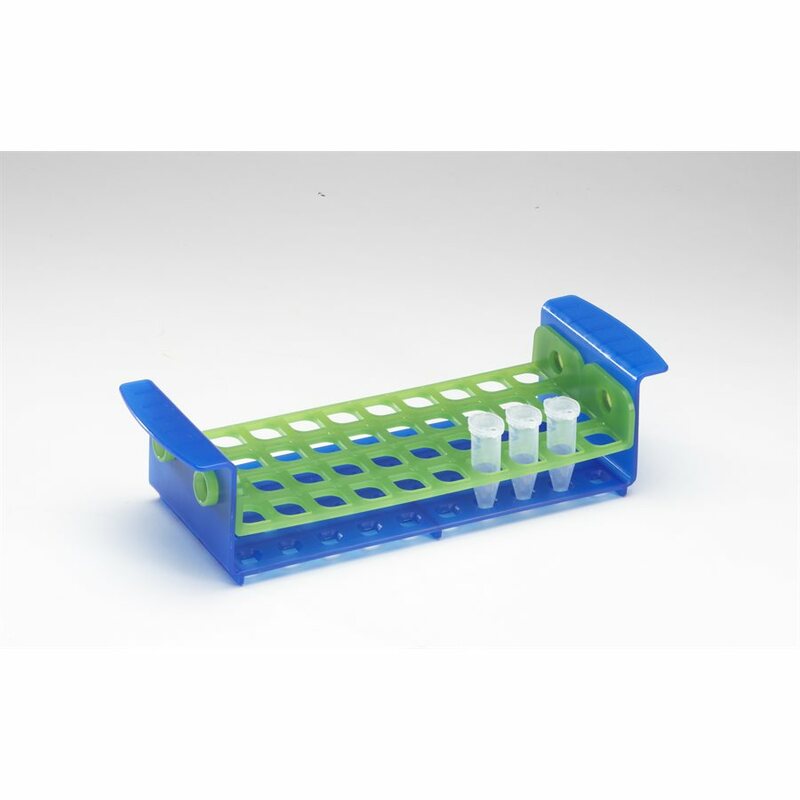 The PCR rack has a closed base design that helps samples integrity by staying cold longer. The PCR storage rack is versatile; it can be used on a bench top or for freezer storage. The compact footprint is stackable, which helps save valuable space in the lab. The PCR storage rack is offered in multiple colors for coding options. Signal Enhancer HIKARI is for Western Blotting, dot blotting and ELISA. It improves antigen-antibody reactions. It resolves the problems of low sensitivity and high background. Simply dilute antibodies with Signal Enhancer instead of diluents such as PBS or TBS. No additional steps are required! Please call our Product Specialist for more detailed information.